Say hello to our latest crop of fave frizz fighters! Let’s face it: Everyone has had their share of nightmare hair phases where frizz was constantly in the picture. Some people had to dial back on hot tool usage, tight hair ties, and others have just learned to live with the frizz. We’re here to say that you don’t have to live with frizz or feel like you need to give up your favorite styling tools and accessories! There are many different products you can use to help maintain strong strands that won’t break and cause frizz. If it’s already too late, and we know for most it already is, there are also holy grail items that will tame your frizz so you don’t have to worry about it ruining a good hair day. Say goodbye to unwanted frizz! 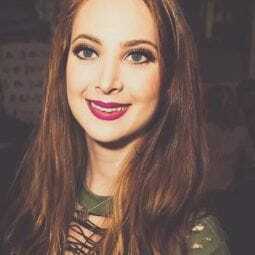 You deserve better than unwanted frizz popping out of your hairstyle, we know you worked hard on it! 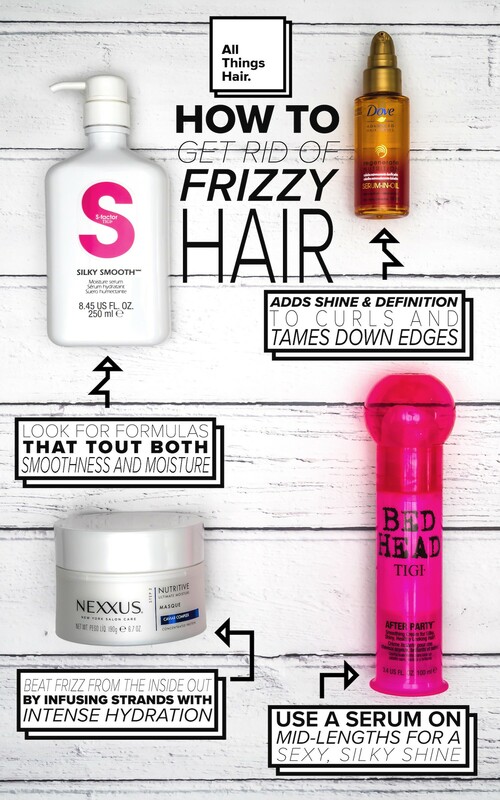 Start implementing some of these products into your daily routine to help get rid of frizz. You don’t need to use them all, even just one can drastically change your hair health. These four products are a must for taming frizz! When your goal is to get rid of frizz, you need to beat it from the inside out. That’s why it’s key to start with an intensive reparative mask that will infuse your strands with intense hydration. 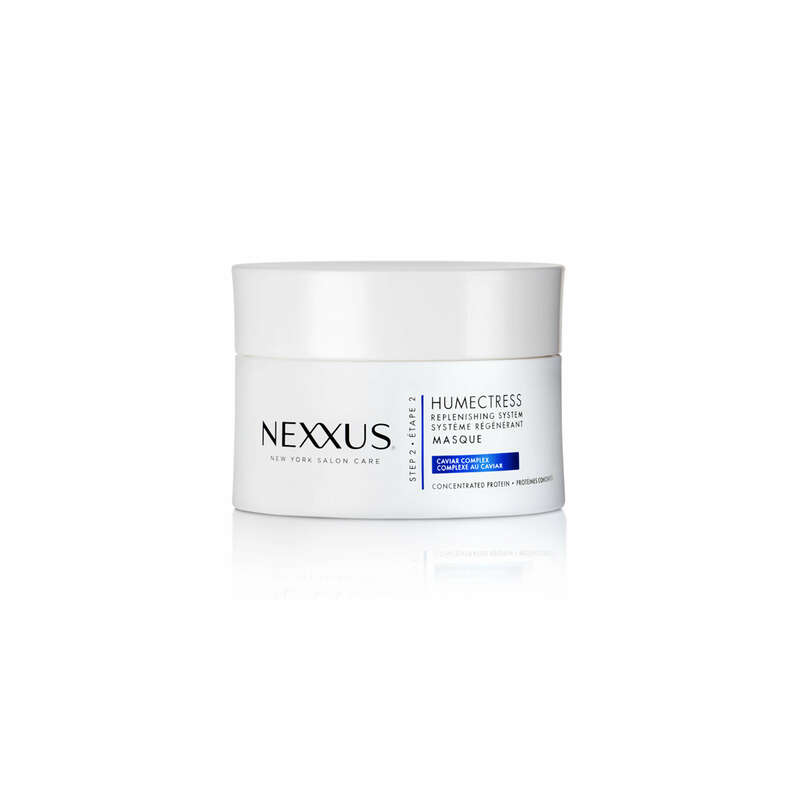 Nexxus Humectress Moisture Restoring Masque helps create a protective barrier of moisture around each strand to help prevent unwanted frizz. A smoothing cream is a great product that will give your hair extra shine and make sure flyaways and frizz stay down throughout the day. 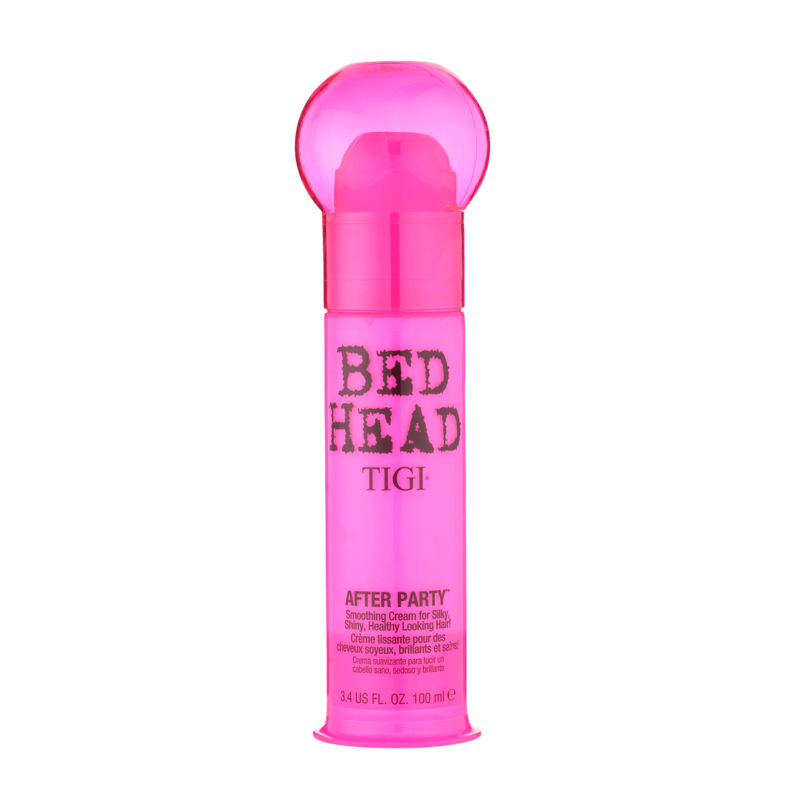 Use a few pumps of Bed Head by TIGI After Party Smoothing Cream on the mid-lengths of your strands to keep your style smooth and frizz-less. When using a serum to tame flyaways and frizz, it’s important to find a formula that provides moisture and smoothness. S Factor by TIGI Silky Smooth Serum is the product you need, it’s lightweight and will leave your strands silky smooth. If you suffer from major frizz, a hair oil is a great product for you. Oils not only tame frizz, but they also work on repairing the damaged hair. 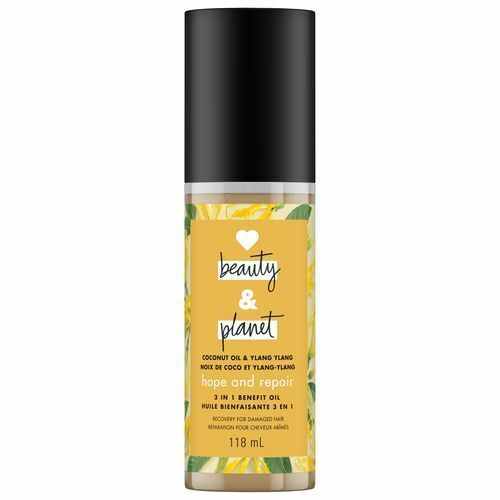 Replenish your strands with Love Beauty and Planet Hope and Repair Coconut Oil Ylang Ylang 3-in-1 Benefit Oil to prevent split ends and get rid of frizz. 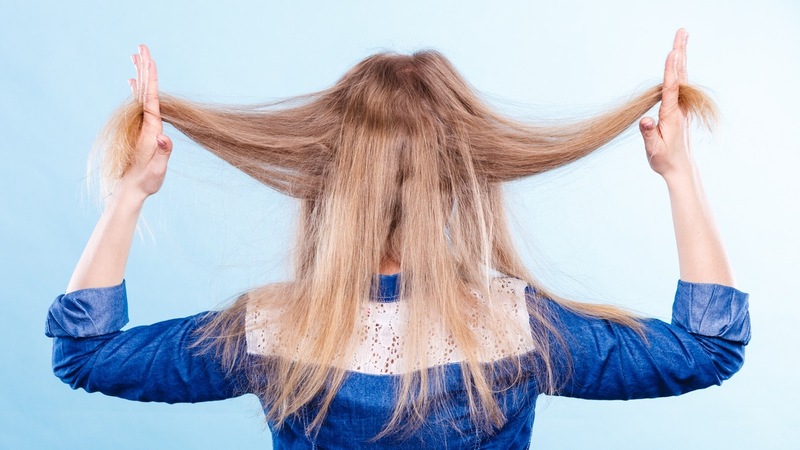 Discover even more ways to tame your frizz.